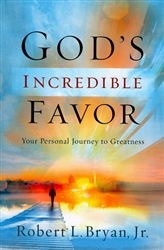 Arsenalbooks.com: God's Incredible Favor by Robert Bryan, Jr.
Are you frustrated as a Christian because your reality does not measure up to your dreams? Do you sense deep inside that you are meant for more? That you have not yet begun to tap into your full potential? Do you long for your life to make a difference and count for something truly significant? Are you hungry for God’s will to be fulfilled in your life? Have you ever wondered why some believers seem to have the Midas touch? Everything they put their hand to turns to gold. Every plan comes together. Every venture succeeds. They seem to catch all the lucky breaks. The secret to success is not luck, but the incredible favor of God. Many Bible characters walked under the favor of God and achieved mighty things: Abraham, Joseph, Moses, David, Esther, Mary, Jesus. God’s favor is not reserved for only a special few super saints but is available to every believer who is willing to pay the price in submission and obedience to walk humbly with God. Learn how to position yourself for greatness and the destiny God has planned for you. Let God’s Incredible Favor show you the way. Don’t settle for a long, mundane, no-hum Christian life! You were born for greatness! Get ready to enter your destiny! 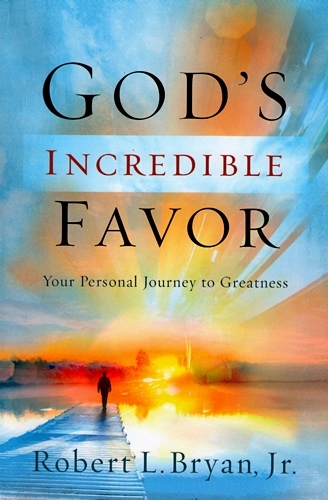 Let God’s Incredible Favor show you the way! Robert Bryan, Jr., is a prophet, pastor, teacher, and preacher who was called and commissioned by God at 18 years of age to minister the gospel of Jesus Christ throughout this nation and the world. He ministers with a strong prophetic voice and deliverance anointing. Dr. Bryan holds a Bachelor of Christian Education from Andersonville Baptist Seminary and a Master of Divinity and Doctor of Philosophy in Christian Education from Faith Bible College and Seminary.